Tonight was Taco Night at our house! 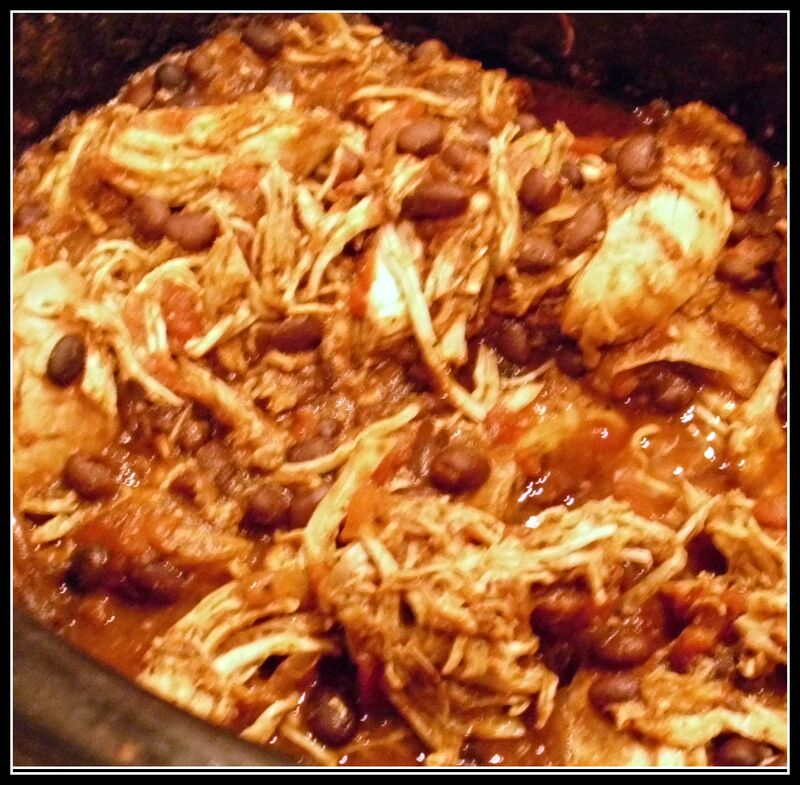 Here is another recipe where you take advantage of your slow cooker and just like the recipe I posted for Moroccan Inspired Chicken & Chick Pea Stew, this recipe also calls for frozen, boneless chicken breast. Frozen chicken breast will cook in your slow cooker perfectly (on low for 8 hours, on high for 4 hours)… If you decide to use boneless chicken breast that is not frozen, the cooking time would be on low for 4 hours. I love coming home after a busy day at work to have dinner already waiting for me. The only thing that had to be done was to pull out the tortillas and fixings. Our favorite fixings are salsa, sliced olives, cilantro, cucumbers and light sour cream. Empty canned diced tomatoes, tomato sauce and black beans into the slow cooker. Add both Gypsy Zesty Spice Blend to the tomato/black bean mixture. Season with salt and sumac-pepper to taste. Add the frozen, boneless chicken and make sure that all sides are coated with the tomato / black bean mixture. Shred with 2 forks or tongs. Stir shredded chicken into the sauce and keep warm until it is time to eat. Serve with Taco Shells, Tortillas and Fixings. Gypsy Zesty Spice Blend consists of various Southwestern spices. You can substitute your blend of spices (or a packet of store-bought low sodium taco seasoning). If you do not have Sumac Pepper, substitute ground black peppercorns.